What Does an Interfaith Christmas Prayer Look Like? 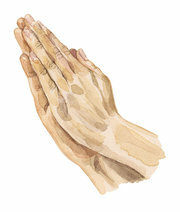 When your family and your wife’s family get together for Christmas dinner, and when you and some of your family are Muslims, your wife and her family are Christians, and you have at least one atheist in the group–and that describes just some of those present–what kind of a prayer do you offer before having Christmas dinner? 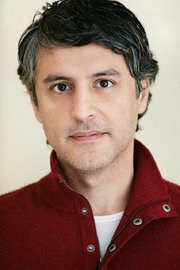 Read what educator, writer and frequent media commentator Reza Aslan did, and the insights gained as a result. Hear the varied perspectives of the Rev. Bryan Fulwider, Rabbi Steve Engel and Imam Muhammad Musri as each week they discuss how faith impacts both the simple and the complicated aspects of life. “Friends Talking Faith with The Three Wise Guys” airs on Tuesdays at 6:30 pm on 90.7 WMFE FM in Orlando. Tune in on your radio or listen online. You can also listen to any show already aired. Friends Talking Faith will launch a four-part series, beginning Tuesday, January 6, titled: “Race Relations in America: Where Are We Now?” The Three Wise Guys will talk with a sitting judge and a lawyer, both of whom are also African-American clergy. They’ll also talk with Orlando Police Chief John Mina, a county sheriff and others. They’ll delve into the national conversation regarding recent grand-jury decisions, protests and other reactions. As the nation prepares for the commemoration of the life of Dr. Martin Luther King, Jr., and given recent events, it seems appropriate to ask, “Where are we now?” Join this conversation each Tuesday evening in January at 6:30 pm on WMFE 90.7 FM. When HOPE Helps, Inc., was founded in eastern Seminole County in 2007, its founders had a clear mission “to prevent and reduce homelessness in Central Florida by equipping individuals and families to become self-sufficient through Housing, Outreach, Prevention and Education.” What wasn’t so clear was how great the need would soon become as hard times descended on the nation. Nor could the founders have envisioned the overwhelming response of willing volunteers and partner organizations. The result has been that HOPE Helps outgrew its facility long ago and has been just “making do.” But good things are on the horizon. During the first half of 2015, HOPE’s Resource Center will be moving to a larger facility at 812 Eyrie Drive, Oviedo, where there will be fewer elbow bruisings because of having to work in such close quarters! And there will also be an array of new opportunities for volunteering/donating. At this point, the new facility is a “blank slate,” says HOPE’s President/CEO Joan Faulkner. An architect and a general contractor are donating their time to coordinate “subcontractors” who’ll provide in-kind services and resources as the new facility is adapted to meet HOPE’s specific needs. Should you or your organization have time, skills or other resources you want put to use in this exciting expansion venture, please send HOPE an email. And regularly check HOPE’s website for updates, progress photos, needs, wish-list items and, of course, volunteer opportunities! 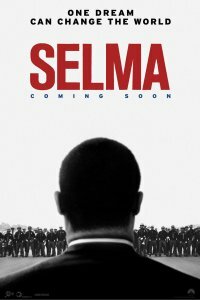 You are invited to a special screening of the soon-to-be-released Golden Globe-nominated movie, Selma, at AMC Altamonte Mall 18 (433 East Altamonte Drive, Altamonte Springs, FL 32701) on Tuesday, January 6, at 7:00 pm, which will be followed by “A Community Conversation on Racial Reconciliation.” The event is being led jointly by Senior Pastor Paul P. Wright of Calvary Temple of Praise, in Sanford, and Senior Pastor Joel C. Hunter of Northland, A Church Distributed, in Longwood. Pastors Wright and Hunter will be joined by other community leaders–local law enforcement, government officials and other pastors–for a dialogue on racial reconciliation. “Sanford has a history of racism. We can’t fix the past, but we can build the future,” says Pastor Wright. Dr. Hunter adds, “We want to build the kind of community where the chances of racial tensions are reduced because we’ve built the relationships among community leaders that are personal and trustworthy. We know this will take years, but this event gives us a good starting place, especially in light of what’s happening across the country.” Tickets must be purchased in advance for this event, and quantities are limited. No tickets will be available at the door. 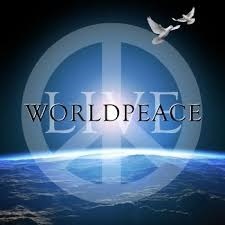 New Year’s is that time when many of us reassess life and make resolutions to change bad patterns of behavior. 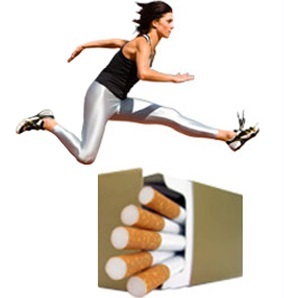 And one resolution that’s high on many lists is getting over the tobacco habit. Does that describe you? Does it describe anyone you know? Well, here’s the good news: Help is available. Local health professional Linda Royer, PhD and RN, has developed a program that combines individual determination with group support. The program was written with the idea that the group support would come from the congregation, but it could be from a civic organization, a corporation or any other group that wants their members to be successful in their lifestyle choices. So whether you’re looking for help for yourself, or whether you’d like for your organization to provide support to others, go to the Get Over Tobacco website. See if the program is a fit for you and/or your organization. The Orlando chapter of the Adventist Forum is inviting the public to hear local author Dale Finley Slongwhite, who will speak at its meeting on Saturday, January 10. Slongwhite, author of the books Not in My Back Yard: A Christian Response to Social Injustice and, more recently, Fed Up: The High Cost of Cheap Food, will present her dramatic findings from five years of investigative reporting on the impact of indiscriminate use of pesticides on local farm workers in the Lake Apopka area as recently as 1998. Then, on Sunday, January 11, she will serve as guide for a bus tour of the Lake Apopka areas she will have talked about the previous day. Excursion participants will learn firsthand where the toxic-waste dumps, Superfund sites, medical-waste incinerators and other toxic-producing businesses are located–which is in the neighborhoods of families who don’t have the means to fight back. The group will also take a close-up look at the lake, which has become the recipient of massive cleanup efforts. The January 10 presentation, which is free and open to the public, will be at 3:30 pm at the Florida Hospital Seventh-day Adventist Church (2800 N Orange Avenue, Orlando, FL 32804). Times, details and sign-up for the January 11 bus excursion will be provided at the January 10 meeting. Most people of faith–whatever their faith–have a sense of obligation for earth stewardship. Different faith groups draw the line of responsibility in different places, but some level of responsibility to care for creation is seen as a spiritual duty. One organization that does an excellent job of speaking up on behalf of nature is the Center for Earth Jurisprudence at Barry University School of Law. Their website is worth having a look at–repeatedly. And their publication Groundswell, available at their website, is well worth reading. It particularly highlights things happening right here in Florida–in our own backyard, so to speak. And what it shows is that some good things are happening, but we’re still a long way from where we need to be. On Sunday evening, January 11, the public is invited to join an array of religious and civic leaders at the Orlando City Hall, where you’ll receive a commemorative T-shirt and glow stick. The “candlelight” vigil and march will leave City Hall at 6:00 pm (so arrive earlier), proceeding to First United Methodist Church (142 East Jackson Street) for the city’s annual MLK Interfaith and Multicultural Service, featuring as speaker the Hon. 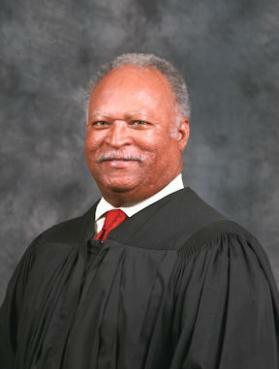 Emerson Thompson, Senior Judge of the Fifth District Court of Appeals. The program features clergy, community leaders and others representing the diversity in faith traditions and cultures in greater Orlando. Each year, the interfaith celebration has a theme inspired by the speeches and writings of Martin Luther King, Jr. This year’s theme is “Give Us the Ballot,” the title of the speech Dr. King delivered at the Lincoln Memorial in 1957 on the third anniversary of the historic Brown v. Board of Education Supreme Court ruling, which struck down segregation based on “separate but equal” facilities. Sponsored by the Interfaith Council of Central Florida and the City of Orlando Mayor’s Martin Luther King, Jr., Commission, the event provides a natural catalyst for dialogue with children and youth about the history of the Civil Rights Movement, the contributions of Dr. Martin Luther King, Jr., the advances made and the challenges that still remain. Spread the word concerning this truly special celebration and learning opportunity. For a listing of the many other events associated with the MLK holiday, go to the website of the City of Orlando. Many people have heard of Sikhism’s Golden Temple in Amritsar, India. Not so many have heard of the Khalsa Heritage Memorial Complex in the Punjab. In part, that’s because the Khalsa Heritage Memorial Complex was completed only some three years ago, in 2011. The structure, which took 13 years to build, was designed the Israeli architect who built the Holocaust Museum in Israel. The complex pays tribute to the 500-year history of Sikhism, but especially to the introduction of Khalsa, some 300 years ago at the time of Guru Gobind Singh, the 10th Guru. The topic for the Interfaith Discussion on Wednesday, January 14, is: “What does your faith tradition have to say about torture?” The discussion group meets from 7:00 to 8:30 pm on the second Wednesday of each month at Adventist University of Health Sciences (671 Winyah Drive, Orlando, FL 32803) on Florida Hospital’s main campus. The discussions are respectful, open and candid, and the participants represent a variety of faith traditions as well as those who question the validity of faith altogether. For directions to the meeting place, click here. Admission is free. Everyone is invited. For Jews, Christians and Muslims, the Exodus story plays a significant role in their faith. But was the Exodus a historical event? Or was it a morality tale to be used merely to teach spiritual lessons? Religious and secular scholars argue strongly on both sides. A movie that’s being released in limited markets nationwide on January 19 (check local listings) considers these arguments and examines evidence. 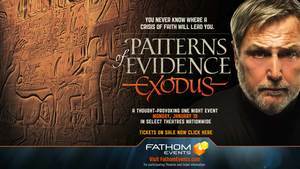 Patterns of Evidence: The Exodus will be screened at a number of theaters in the Orlando area. “Join us for this award-winning documentary which presents convincing new evidence that clearly matches the Exodus stories,” says the promotional material for the movie. “Plus stay for an exclusive panel discussion including Dennis Prager, Eric Metaxas and moderated by journalist Gretchen Carlson, host of ‘The Real Story with Gretchen Carlson.’” You can learn more about the movie by perusing its accompanying electronic press kit. A few decades ago, the odds were overwhelming that the family moving into the house next door to you would be at least nominally Christian. The only question was whether they’d be Baptists, Catholics, Methodists or some other Christian denomination. But those odds are changing. Although self-described Christians still account for more than 75 percent of the U.S. population, other faith traditions are on the increase. And the fastest-growing religious affiliation in the U.S. is “no religious affiliation.” So how do these other faith/no-faith groups view the world? Why not let them speak for themselves? Each Tuesday evening at Winter Park Presbyterian Church (400 South Lakemont Avenue, Winter Park, FL 32792), from January 20 to March 10, learn about another faith tradition/worldview. Those featured will be: Baha’i, Buddhism, Hinduism, Humanism/Atheism, Islam, Judaism, Sikhism and Unitarian Universalism (not necessarily in that order). Each night the speaker will take 25 minutes to present an overview of the main features of her or his faith tradition/worldview. (The goal is information, not proselytizing.) Then the audience will have 25 minutes to ask questions. Plan to attend this open-to-the-public and free-of-charge event. In fact, invite your friends to join you. 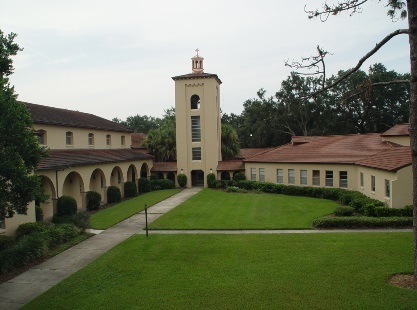 The program, which runs from 6:30 to 7:20 pm throughout the series, is sponsored jointly by Winter Park Presbyterian Church and the Interfaith Council of Central Florida. The Hindu Society of Central Florida is inviting the general public to join them for a cultural event celebrating India’s Republic Day, on Sunday January 25, from 1:30 to 4.00 pm. 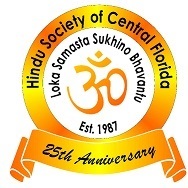 The event, which will be held in the HSCF Community Hall (1994 East Lake Drive, Casselberry, FL 32707), will include a cultural program, speeches by distinguished guests and traditional Indian snacks and beverages. India is the world’s largest democracy, with a population of more than 1.25 billion. Although India was liberated from British rule on August 15, 1947, it was on January 26, 1950, that the Constitution was adopted. Thus the establishment of Republic Day on January 26. Those interested in a tour of the mandir (temple) after the festivities should mention their interest as part of their RSVP, so a guided tour can be arranged. Entry to the Republic Day festivities is free of charge with an RSVP by January 22. For more information, contact: Madan Arora, 407-971-9259; Babuji Ambikapathy, 407-230-2762; Prashant Saoji, 321-460-0800; or Dev Sharma, 407-862-9920. Those of all faiths and of no faith–and those searching for faith–are invited to learn from and laugh with Danny Siegel, author, lecturer, poet and the man who has been dubbed “the world’s greatest expert on ‘microphilanthropy.’” This interfaith event, a collaborative effort of Congregation Beth Am and St Stephen Lutheran Church will be held at St Stephen (2140 West State Road 434, Longwood, FL 32779) from 4:00 to 6:00 pm on Sunday, January 25. The event is open to the public and free of charge. The presentation is titled: “Simple Ways to Make a Significant Difference: Examining classic, ancient Jewish sources inspiring costless easy projects we can do today that have a potentially awesome effect on people.” Siegel, who has a Bachelor’s degree in Comparative Literature from Columbia University’s School of General Studies and Bachelor’s and Master’s degrees in Hebrew Literature from the Jewish Theological Seminary of America, will show how ancient sources that most people don’t know about actively speak to the world today. 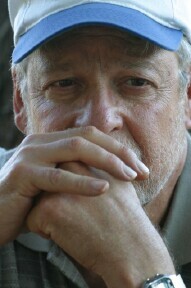 Siegel has authored 29 books and lectured and traveled widely. 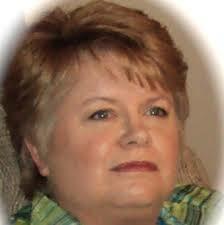 Commission on Aging Newsletter – Just What You Need? 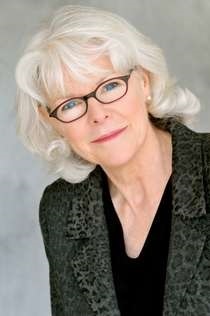 Whether you’re becoming more acutely aware of the aging process because it has embraced you, or because you’re a caregiver to someone else who has been embraced by it, you’ll find a treasure trove of helpful information in the monthly email newsletter of the Orange County Commission on Aging. Whether you’re a super-active retiree looking for exciting, energy-demanding, adrenaline-releasing activities and opportunities, or whether you’re looking for help with what you’re no longer able to do on your own, the newsletter is a good place to start in finding what you need. Check it out for yourself. Then apply here to be put on the email list. Adventist University of Health Sciences is again this semester inviting the public to enjoy the speakers they’ve lined up for this academic year’s University Colloquium. 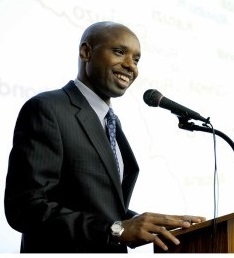 All speakers will address the theme “Resilience.” The first presenter of 2015 is Deogratias Niyizonkiza, subject of the book Strength in What Remains. Deo arrived in the United States from Burundi in search of a new life. Having survived a civil war and genocide, he landed at JFK airport with two hundred dollars, no English and no contacts. He eked out a precarious existence delivering groceries, living in Central Park and learning English by reading dictionaries in bookstores. Then Deo began to meet strangers who would change his life, pointing him in the direction of Columbia University medical school and a life devoted to healing. The presentation will be on Wednesday, February 4, at 7:00 pm at Florida Hospital Seventh-day Adventist Church (2800 N Orange Avenue, Orlando, FL 32804). Those wishing to attend must RSVP at Eventbrite. The Interfaith Council of Central Florida, Friends Talking Faith With the Three Wise Guys radio program, Building US and the just-emerging InterDiversity Institute–all of which work closely together–invite those who are blessed by the contribution we make to the community to help us in return. All contributions are tax-deductible and may be sent to: PO Box 3310, Winter Park, FL 32790-3310. Indicate which of the four entities above you wish to receive the benefit of your gift. Thanks to all whose support has made our activities possible.